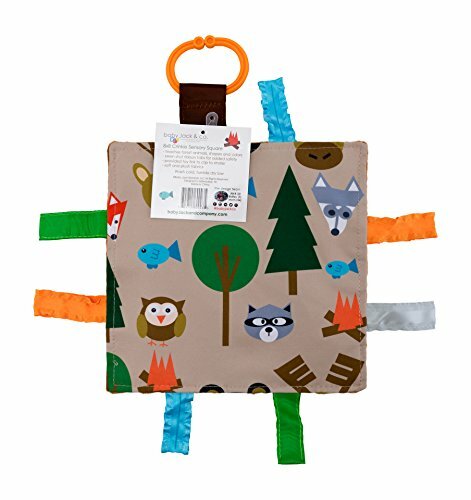 Show your child the cute faces of our forest friends with our Forest Crinkle Square! 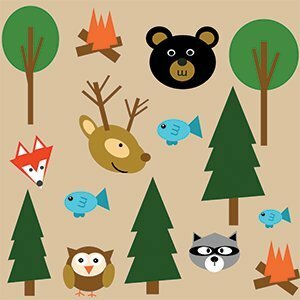 Count the circles in the black bear and identify which letter (V) made the fox! Find the letter M in the fish fin! 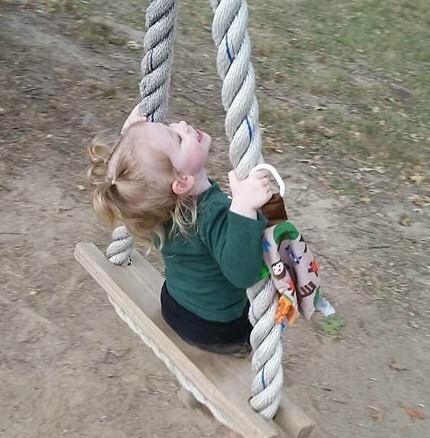 The soft, plush fabric and crackling material are perfect for kids of all ages. As your child grows up, the patterns will encourage your child to learn basic shapes and colors. The Crinkle Square is accented with coordinating ribbons that are sewn shut, so little fingers do not get intertwined in the ribbon loops. Our educationally designed fabrics encourage tactile play and help children develop cognitively, socially and emotionally through sensory interaction. Made by kids, for kids! 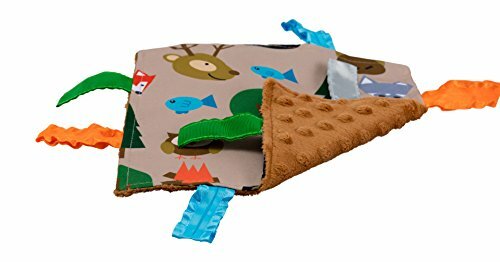 Each product comes with a toy link to clip onto strollers, car seats, or baby carriers. Since we care about the health of your children, we make our toy links non-toxic and BPA-free. The top fabric is a durable, micro polyester, paired with a minky, plush fleece textured backing.